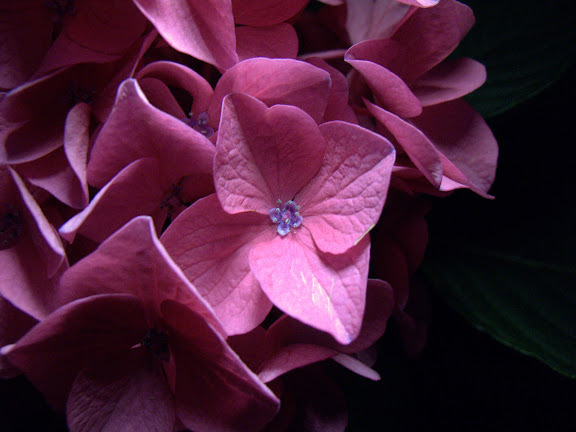 This pink hydrangea flowerhead reflects the higher alkalinity in the soil in this part of my yard. This old plant has been in the yard for at least 30 years. The flowerheads start out bright pink and gradually turn more purple. If you look close you will notice that each bloom has a small separate center flower. Canon G10, 1/125 sec @ f/2.8, ISO 400, in macro mode.